To help everyone working within the remote sensing industry, we have collated useful links to partner organisations and documents which will provide you with information and support as you develop your business. The British Science Association (BSA) is a charity, founded in 1831 and incorporated by Royal Charter with the vision to work towards a world where science is at the heart of culture and society. The Geological Remote Sensing Group (GRSG) is a special interest group of the Geological Society of London (GeolSoc) and the Remote Sensing and Photogrammetry Society (RSPSoc). The Met Office collects and makes sense of massive amounts of data every day, using cutting-edge technology for the benefit of mankind – and the planet. RAL Space is an integral part of the Science and Technology Facilities Council’s (STFC) Rutherford Appleton Laboratory (RAL) carrying out world-class space research and technology development with involvement in over 210 space missions. The Satellite Applications Catapult helps organisations make use of, and benefit from, satellite technologies, and bring together multi-disciplinary teams to generate ideas and solutions in an open innovation environment. Space4Climate is a public-private-academic partnership working collaboratively to ensure a seamless supply chain for climate data from space. CEOS ensures international coordination of civil space-based Earth observation programs and promotes exchange of data to optimize societal benefit and inform decision making for securing a prosperous and sustainable future for humankind. 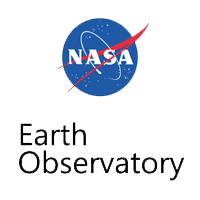 The Group on Earth Observations (GEO) is an intergovernmental organization working to improve the availability, access and use of Earth observations for the benefit of society. The National Oceanic and Atmospheric Administration mission is to understand and predict changes in climate, weather, oceans and coasts. Space for Smarter Government Programme Enabling the public sector to save money, innovate and make more effective policy decisions by using space technology and data.